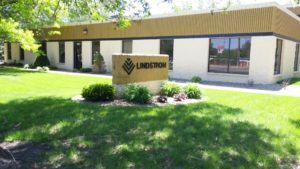 About Us - Lindstrom Cleaning & Construction, Inc.
Over sixty years ago Dr. Lindstrom’s father, Carl Lindstrom, began a small cleaning company that eventually grew into what we know today as Lindstrom Restoration. Over 20 years ago Dr. Lindstrom became the Chairman and CEO of Lindstrom Restoration. As an internationally recognized ophthalmologist, Dr. Lindstrom continues to be involved in guiding the management team towards success. Mike Lindstrom marks the beginning of the third generation of Lindstrom Restoration. Mike started with the company as a Carpentry Laborer in 2006. In 2012, Mike entered the office as an Operations Manager and quickly progressed to becoming the President of the company. Mike is a licensed General Contractor in the state of MN, is a EPA Certified Renovator, Holds 4 certifications with the IICRC, and holds a BS in Construction Management from St. Cloud State University. Mike is a husband to his wife Hannah and father to his four children; Eleanor, Zoe, Evelyn, and Dean. Mike’s passions are spending time with his family outdoors and working in a team setting. Hannah started at Lindstrom’s in March of 2013. Before becoming an important member of the team here, she worked at the St. Joseph’s Medical Center, Brainerd, for 6 years as an Applications Analyst in the medical records department. Hannah has a BS in Health Information Services with a minor in Information Technology. She grew up in St. Cloud, MN and currently enjoys living in sunny Buffalo, MN. Hannah enjoys reading, spending time with her four children, and gardening. Melissa is passionate about customer satisfaction, communication and collaboration. Melissa works between the estimating and operations departments to coordinate and expedite the process. Jason found a home at Lindstrom over 16 years ago. Jason shares our passion for “doing it right no matter what.” Jason enjoys large, complicated projects such as apartment buildings, large loss residential fires and commercial buildings. Jason is a loving husband and a proud father of his two boys. When not using laser levels and NASA coordinates to get the perfect siding lap, Jason enjoys hunting, fishing, skiing and hanging out with his boys. John has been in the construction restoration field for many years, and has been involved in commercial and residential projects – large and small. Outside of work he likes to spend time at their family cabin in the summer, and watch sports and do woodworking projects in the winter. John has a wife and one son who is a senior in high school and plays on the school tennis team. Larry has over 20 years of experience in property restoration, and another 17 in the insurance industry. He chose Lindstrom because he shares our passion for quality customer service, high ethics and integrity. Larry also teaches business at Normandale Community College in Bloomington and enjoys helping students of all ages, races, religious backgrounds and preferences to achieve their educational goals and career dreams. Larry enjoys jogging, and hacking at golf balls. He is a fan of Minnesota sports as well as the St. Paul Chamber Orchestra, whose internationally acclaimed music drowns out the stresses of the world. Gary Ladyka posesses extensive experience in construction, damage restoration, mitigation and insurance repair. With over 20 years industry experience, Gary is an absolute asset to his clients. Gary is passionate about his work as well as his pass time activities. Josh comes from a very diverse background including restoration, construction, fleet management, sales and semi-truck driving. Josh is excited about being at Lindstrom where he can utilize his skillset and passion for helping others. In his time away from work Josh enjoys spending time with his wife and two young boys. His hobbies include anything outdoors, fishing, hunting, sports, leading a non-profit organization, pool and hockey.